Damp wood is the main culprit for blackened glass, which is a build up of soot. 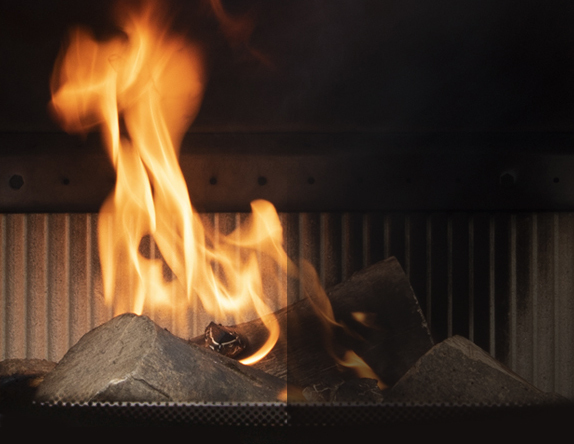 To avoid high levels of soot, we recommend you burn dry, seasoned wood, which doesn’t smoke as much or produce “wet smoke” like that of wetter wood being burned. Should you get blackened glass on your stove, the best way to remove it is to clean the glass with wood ash. Yes, that’s right, for sparkling clear glass, try dipping a damp cloth into wood ash and use this to remove any marks on the inside of the door glass. It may sound bizarre, but it works brilliantly!